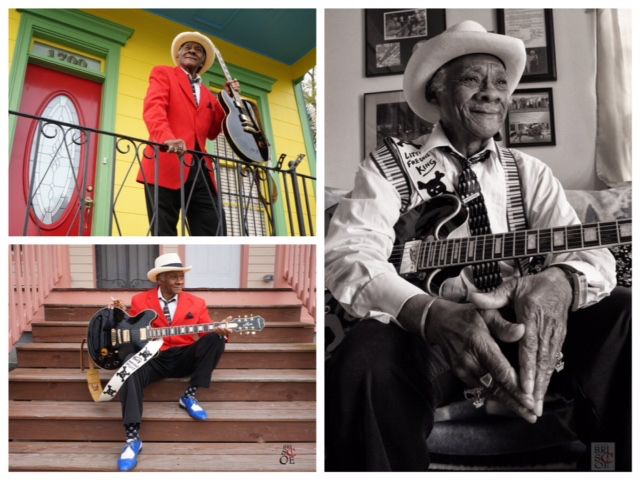 Little Freddie King invited me into his tiny living room, decorated with photos, paintings and posters celebrating his decades as a music icon. I felt as though I was in the presence of royalty. I was there to photograph Freddie for my new book, The Spirit of New Orleans. He plugged in his amp, sat on his small couch and played the Blues for me with guitar riffs and a raspy voice that gave me goosebumps. His warmth and humility filled my soul. Late that night, Little Freddie put my name on the guest list at the door of the DBA Music Club on Frenchman Street. The place was packed, everybody standing with drinks in hand or dancing. I made it to the foot of the stage. Freddie was in his groove and was rock’n the house. Dr. Bones with his electrified harmonica, offered up his own power keeping his eyes on Little Freddie’s left fingers as they slid up and down, over the frets. Mr. King, wore a red vest that was as electric as every note he played. His contrasting white hat and signature dark glasses completed the package of a 74 year old man who loved filling the room with his passion. 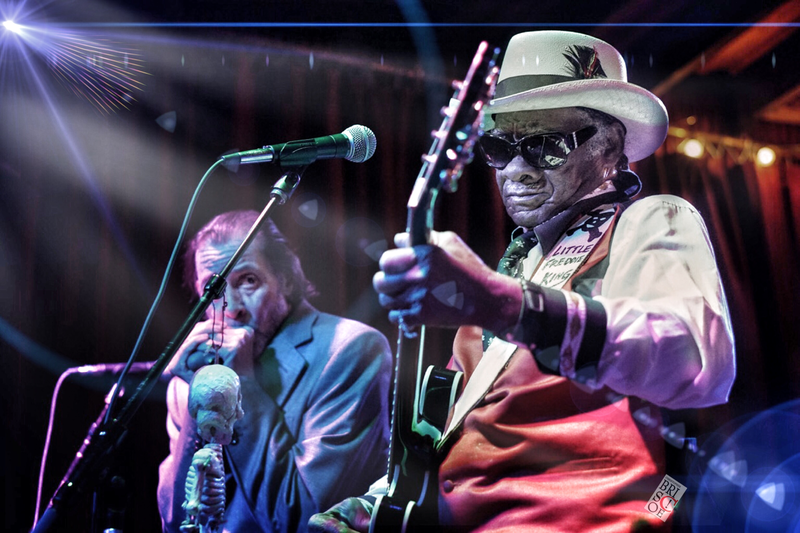 Shooting live music is always a challenge – multi-colored lights, constantly changing the exposure – low shutter speeds, praying for a sharp image. I snapped, leaning in for the perfect shot.